I shared some tips with you a couple weeks ago about grilling meats but there’s more to summer barbecue season than burgers and steaks! Why turn on the stove to cook your veggies when you have a perfectly good hot grill already prepped? Never mind the fact that grilled veggies and fruits taste like something out of Heaven — if you know how to cook them properly! Don’t use your veggie peeler. Don’t peel your vegetables before you grill them. Another reason why you need to buy organic produce! You’ll lose the nutrients and much of the flavor if you peel your veggies before they hit the grill. You’ll also get a smokier flavor if you leave the peels on. Remember the clean fifteen list and the dirty dozen when you’re trying to decide where to invest in organic produce. Precook. Some hardier veggies need a bit of precooking to shorten the time they must spend on the grill. These types of vegetables would include: asparagus, broccoli, beets, artichokes, parsnips, carrots, winter squash and potatoes. Steam them or blanch them until they are only slightly tender, then pat them dry and cook them on the grill. That extra step will make sure the outside and inside of those sturdy veggies are cooked evenly. Vegetables like peppers, onions, eggplant, fennel, tomatoes and summer squash can be grilled raw. Oil them. 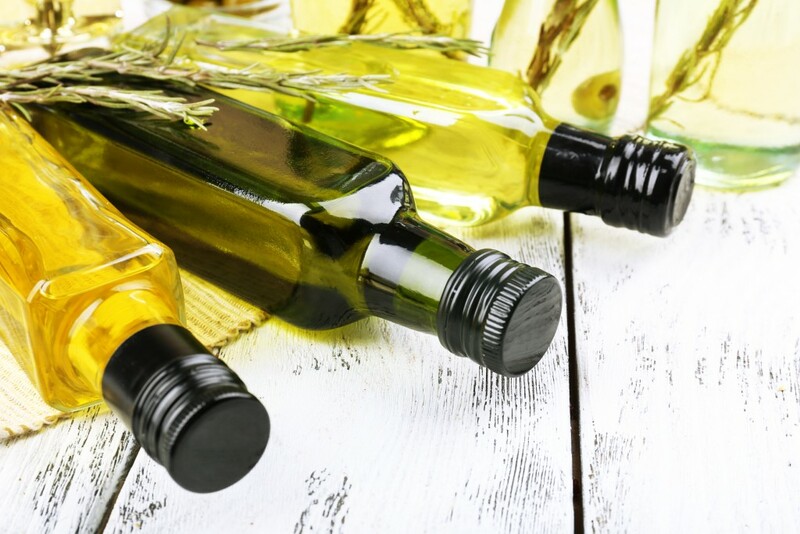 Rub a tiny little bit of olive oil (not extra virgin) or coconut oil on your veggies before you grill them. This will help prevent them from sticking to the grill, and it will also help keep them from drying out. Just a little bit because if there’s oil dripping from the food, you’ll experience flare ups. Soak your fruits. Before grilling fruits, try drizzling them with honey or maple syrup, or soaking them in liquor. Talk about a flavor burst! Especially if you’ll be serving grilled pineapple or pears for dessert. Yes you can grill pears! You can also grill apples, watermelon and peaches. Reach for fruit that is firm and just barely ripe for your best options in fruit grilling. Indirect heat. When grilling fruits and veggies, you want moderately hot coals or indirect heat. You may need to move them around throughout the cooking process to make sure they cook evenly. Stick it to them. 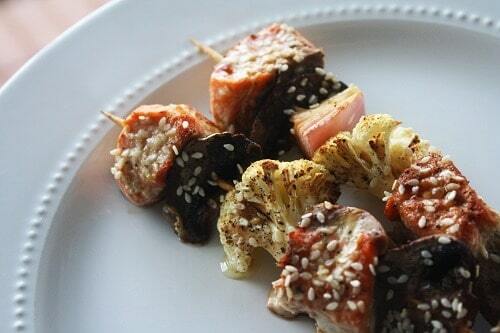 Skewers are great tools for grilling veggies. It’s tempting to make beautiful kabobs out of meat and veggies but if you want to ensure even cooking, skewer all the same type of veggie per skewer. Cherry tomatoes, mushrooms, chunks of onion and pineapple are all wonderful cooked on skewers. Use packets. Some veggies don’t lend themselves well to skewers or grill baskets. Peas, beans, sliced peppers, etc. For these lovely foods, try making a packet out of tin foil and cook them that way. This is also a good way to cook potatoes, or to cook other veggies with a sauce or topping of some sort. Have I missed anything? Do you have anything to add? Strawberries are one of the most popular berries on the block. Equally delicious eaten right out of hand or tossed into a salad, strawberries are quite versatile fruits. These sweet, red heart-shaped fruits are not only scrumptious, they are also packed with nutrition (as most berries are). One cup of strawberries (roughly 8 large berries) is considered a serving. Each serving of strawberries contains a full gram of protein and 2 grams of fiber. 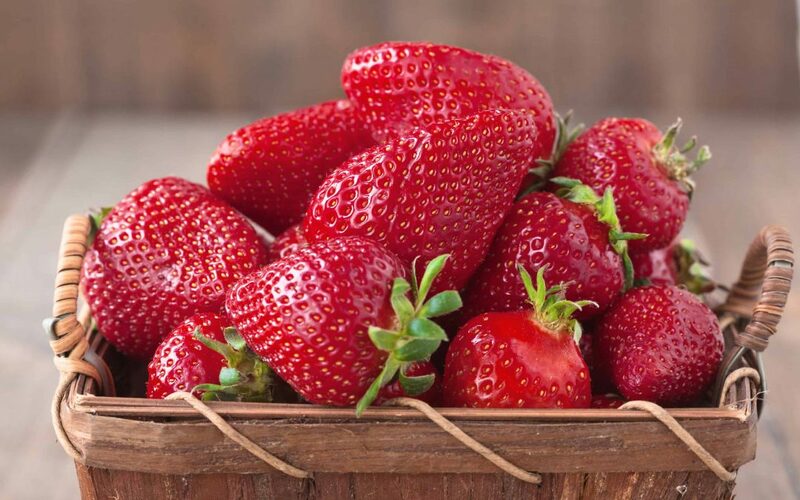 Strawberries also contain a slew of minerals, vitamins and antioxidants. Minerals. Strawberries are very high in potassium, and they are a good source of iron and calcium. Vitamins. One serving of strawberries contains a full 160% of the Vitamin C you need in a day. That same serving of strawberries also contain 20% of your recommended daily amount of folate. Flavonoids. Strawberries contain a flavonoid called fisetin, which has been shown to reduce complications of diabetes. Antioxidants. Ripe, juicy strawberries also contain phenols, which are special antioxidants that fight inflammation, heart disease and cancer. Strawberries are best when they’re nice and fresh. Mmmm! But if you can’t get your hands on fresh organic berries, head to the freezer section. 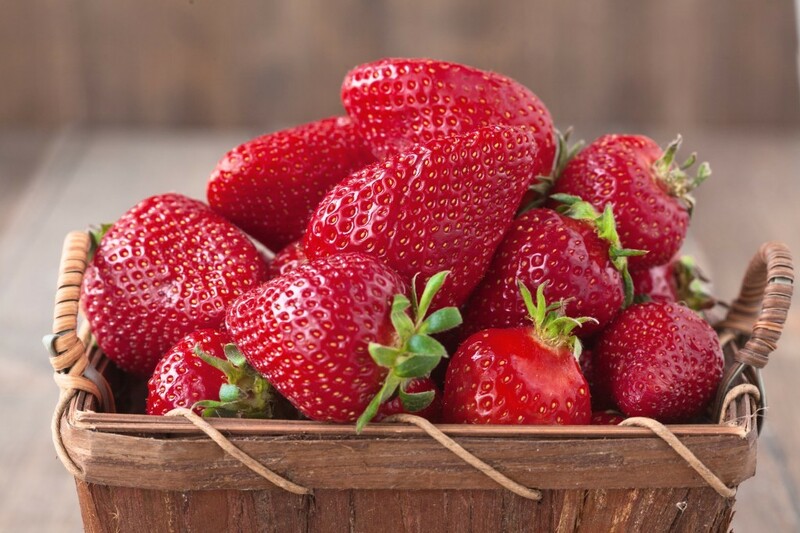 Avoid eating conventionally grown strawberries because they are on the Dirty Dozen List. I always keep frozen organic strawberries on hand to toss into a smoothie. There is nothing like the addition of some strawberries to perk up a smoothie! Here’s one of my favorite smoothie recipes using strawberries! Salmon is one of my all-time favorite fish and one of my all-time favorite meals for that matter. There are so many nutritional benefits to eating from its lovely healthy fatty omega 3’s to it’s outstanding source of protein, it’s important to make sure you eating the right kind of fish. Instead of choosing farm-raised fish, scrutinize the label (if buying frozen) or ask your fish monger for wild caught only. For one it sounds more fun and makes your groceries sound a little more exciting than they really are, LOL. But the most obvious reason to choose wild salmon and other wild fish over farm raised, is that its clean. There’s a bunch of stuff you don’t want to be eating via farm raised fish, including dioxins (also found in plastics). According to naturalnews.com, farm-raised salmon has 11 times more carcinogens than wild. Carcinogens root in dioxins and are directly linked to radiation that can mess with your metabolic system and is a prominent cause of cancer. Long story short: you do not want that in your body! Naturalnews.com also touches on how this stark difference in environment comes to be. The dioxins creep more into farm-raised fish because the various types of feed those farmers will give to their stock contaminates the waters. 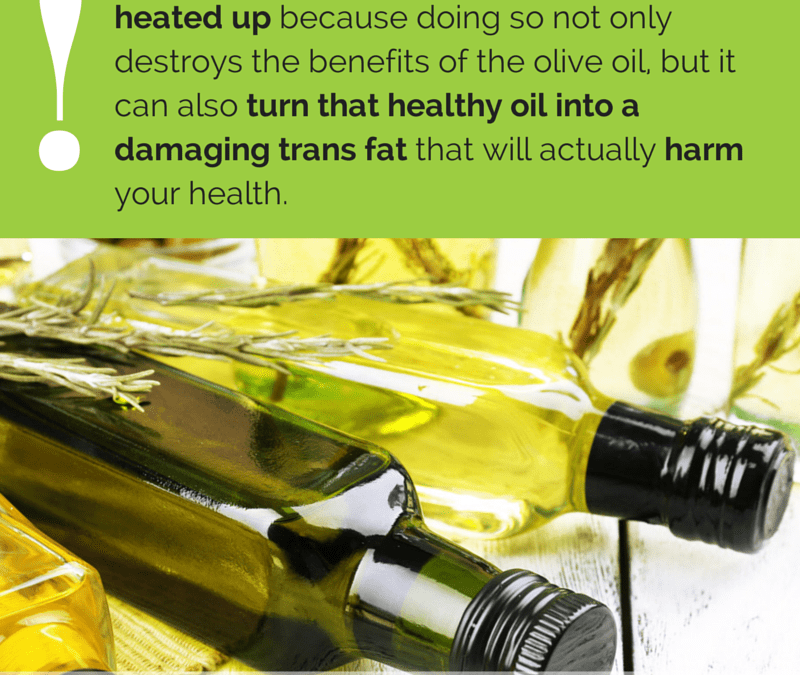 Even though wild will cost you a bit more, it’s worth the health benefits. So be a little wild (pun intended), and make the better buy! Apples aren’t the only fruits ripening on the trees right now. It’s a great time of year for pears! If the best of pear season has ended where you live, there should still be plenty of fresh pears around, so poke around the farmers’ market next time you’re there. Or even better, call your nearest orchard and see if there are any pears available. I like juicing pears, slicing them on my salads and snacking on them as nature intended. The most common varieties of pear in North America are Bartlett, Bosc, Anjou, Concorde and Comice. And whichever variety you can find to sink your teeth into, you’ll be enjoying a sweet serving of antioxidants. Pear skin is extremely rich in phytonutrients. In fact, the skin of the pear is about four times higher in these nutrients than the sweet flesh of the fruit. Those phytonutrients include anti-inflammatory flavonoids, antioxidants, and cancer fighting power. The skin of a pear fruit is also very high in fiber. Since you want to eat that pear skin, you better buy organic. If you can’t find organic pears, scrub the heck off of the surface of the fruit before enjoying. If you peel it, you’re tossing away all of that nutrition. But the peeling isn’t the only nutritionally dense part of this sweet fruit. The flesh and the juice are both beneficial as well. Pear juice is considered a superior fruit juice. In most cases, the cloudier the juice, the more nutrient-dense it is. Pear juice is quite cloudy. In addition to the antioxidant, cancer prevention, and anti-inflammatory properties that pears contain, they are also rich in vitamins C and K, easy to digest, and they’re even hypoallergenic! Here’s one of my favorite pear recipes. In a skillet over medium heat, heat coconut oil. To the oil, add the chicken, salt and pepper and garlic. Cook for 10 to 15 minutes, until chicken is no longer pink in the center. 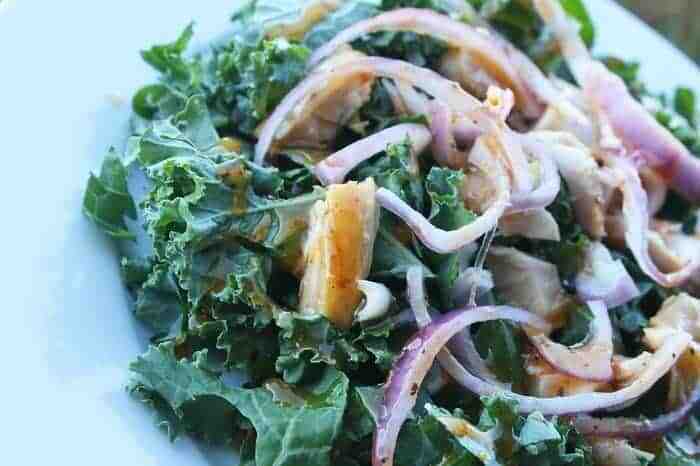 In a large bowl, toss the pear, chicken, kale, and onion. In a small bowl, whisk the remaining ingredients (extra virgin olive oil through chili powder). Pour dressing over salad and serve. Would you be shocked to learn that a number of foods sold in grocery stores across the United States have been banned in other countries across the world because of the harmful additives they contain? 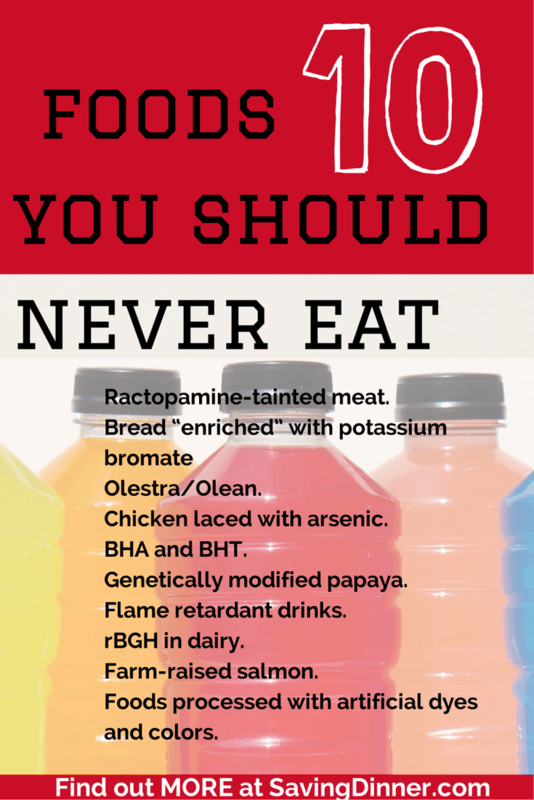 If you have any of the following ten foods in your home, I recommend you ditch them pronto. Foods processed with artificial dyes and colors. Foods for babies and young children are among the food-like items in the US that include one of 3,000+ flavorings, preservatives, or other synthetic ingredients. Mac and Cheese, cheese flavored crackers, Jell-O and many cereals targeted towards children contain dyes banned in many countries including Austria and Norway. Farm-raised salmon. Farmed salmon is banned in Russia. Farmed salmon is fed a diet of grains (often times genetically engineered), vitamins, antibiotics, chemicals and drugs that are unsafe for humans. Look for wild-caught pacific salmon for a much healthier alternative to the farmed variety. rBGH in dairy. rBGH is a human-made version of natural BST, a hormone in cows that increases their milk production. Monsanto created rGBH from genetically engineered E.coli bacteria. Yes, you read that right. Roughly 1 in 6 US dairy cows are injected with such growth hormones, so there is a good chance your non-organic dairy products contain this hormone. rGBH exposure may cause prostate, colorectal and breast cancer. rBGH is banned in New Zealand, Australia, Israel, Canada and Europe. Flame retardant drinks. Often found in Mountain Dew, Fanta, Powerade, Sunkist, Gatorade, and Fresca, Brominated Vegetable Oil (BVO) was originally used by chemical companies as a flame retardant. It’s now found in sport drinks and citrus-flavored soda in the US. BVO is banned in many countries across Europe and Japan. Genetically modified papaya. Most Hawaiian papaya is now genetically modified. Back in the 1990s, ringspot virus almost wiped out the entire US crop of papaya. Now, it’s difficult to find papaya that’s not GMO. This American papaya is banned in Europe. BHA and BHT. BHA (butylated hydroxyanisole) and BHT (butylated hydroxytoluene) are toxic preservatives used in beer, cereal, meat, nut mixes and margarines. BHA causes cancer in rats and could cause cancer in humans. Both BHA and BHT are banned in Japan and Europe. Chicken laced with arsenic. Farmers in the US are permitted to use animal feed containing arsenic-based drugs because of arsenic’s ability to make animals grow faster and to make their meat appear more fresh and pink. Arsenic-laced chicken is banned in Europe. Olestra/Olean. Procter & Gamble created a cholesterol- and calorie-free fat substitute for us in fat-free snacks. Olestra (a.k.a., Olean) was approved for use by the FDA in 1996 and is usually used in chips and french fries. Olestra was named by Time magazine as one of the worst 50 inventions of all time. Olestra/Olean is banned in Canada and the UK. 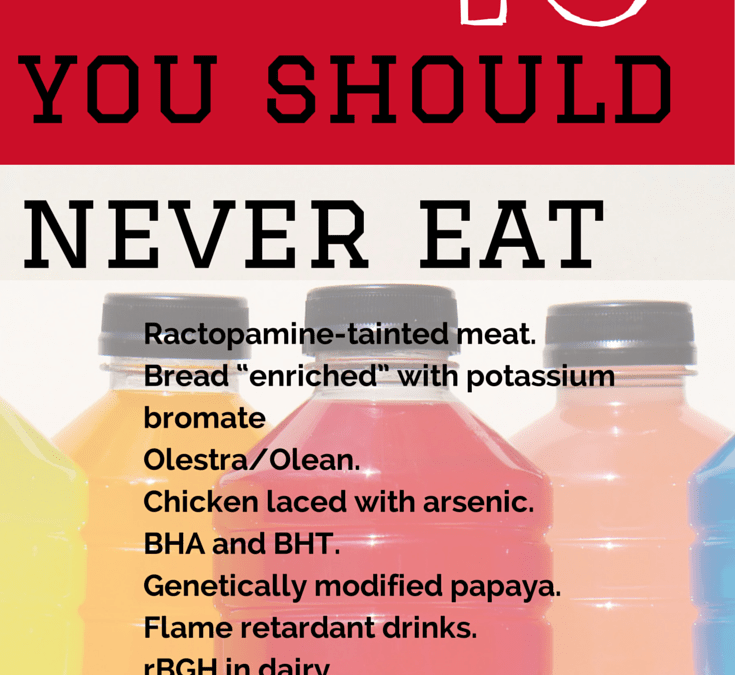 Ractopamine-tainted meat. Ractopamine is also known as Paylean and Optaflexx was originally used to treat asthma. It’s used in the US as a muscle enhancer and to reduce the overall fat content in meat. 45% of pigs, 30% of ration-fed cattle and an unknown percentage of turkeys in America eat feed enhanced with Ractopamine. Ractopamine is banned in 160 countries in Europe, Taiwan, Russia and Mainland China. Bread “enriched” with potassium bromate. Commercial baking companies use flour “enriched” with potassium bromate to make their bread dough more elastic and better able to stand up to bread hooks. Potassium bromate has been banned in Canada, Europe and China.